The Youth leader, Jope Koroisavou, had also petitioned party headquarters asking several questions including the AGM venue. SODELPA general secretary Adi Litia Qionibaravi has called on disgruntled party members to respect the internal party processes. This is after it was revealed that a group of members from the Suva- Nausori corridor has threatened to boycott the annual general meeting in June if it is held in Savusavu. “The party held its June 2018 AGM in Lautoka to allow Western members the opportunity to participate and the Sept 2018 SGM (Special General Meeting) in Nasinu was also to enable Nasinu party members participate,” she said. 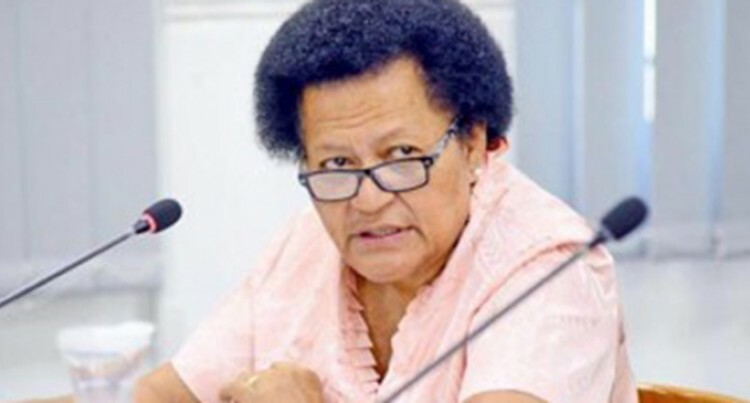 She said the SODELPA Working Committee met in January to approve the integrated party and parliamentary office structure. On the appointment of Peter Wise for the $50,000 chief strategist job and Divukidonu Qionibaravi for the $35,000 Principal Administration Officer role in the Opposition Office, Adi Litia said interviews of applicants were held by a panel chaired by the Opposition Leader, Sitiveni Rabuka. Mr Wise’s sister is married to Ratu Naiqama Lalabalavu, SODELPA’s president. Ms Qionibaravi is the daughter of Adi Litia. Their appointment has also been questioned by some members. Adi Litia said: “After due process was followed, appointments were made. Staffing at the SODELPA Parliamentary Office are the prerogative of the Leader of Opposition, you are well advised to direct this question to him.